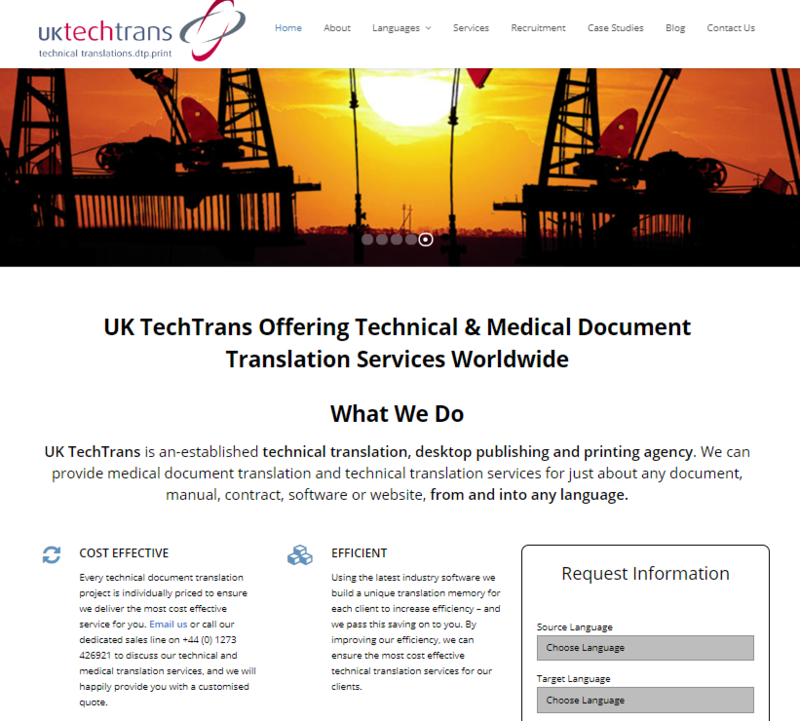 UK TechTrans has provided accurate technical translation and DTP services to multi-national and international business form more than 15 years. 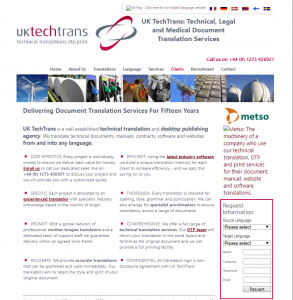 UK TechTrans came to us regarding the improvement of their website design. Our goals were to create a modern look, feel and to make the website more responsive. This would enable streamline user experience and benefit traffic values. Tron Media worked hard in creating a new design for UK TechTrans, we wanted to ensure that the website had a smooth and enjoyable customer experience. We were frequently in contact with UK TechTrans throughout the process of re-designing the website, just to ensure that we had created exactly what they had envisaged. Combining both a sleek web design and also our SEO skills, we were able to ensure the site looked good but also ranked highly for their specific keywords. We are still working with UK TechTrans and ensuring they are ranking well for their keywords and gaining more enquires and also traffic. The new website design has made it easier for customers to explore the site and what services they offer. Here at Tron Media we have excellent communication skills and we want to understand what you want and need from us. We required a new, modern website for our Translation business and Tron-Media were the ones we most liked after checking them out online and then having a face to face meeting. It is a huge upgrade from our last website and we hope it will be a means of potential customers to check our services on the web, get excited and buy from us. Tron-Media have been helpful, supportive, and interested in our web design. It was good to be able to meet the team face to face. 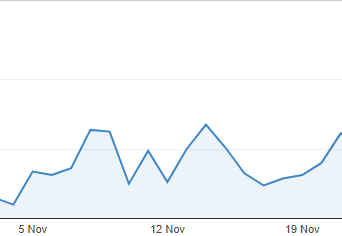 We are very happy with the results, and the business our new site is bringing in. You can always count on the team if you have any queries or any requests.